Like any other large city, Prague has a lot of traffic on its streets. We can help you escape all the unpleasant noise, fumes and congestion via a network of quiet lanes and dedicated bike paths ready for exploration. Just about every part of the historic center of Prague, and its periphery are accessible. We will take you on routes where barely a car is seen or heard so that you may enjoy this wonderful town as only the locals know how. 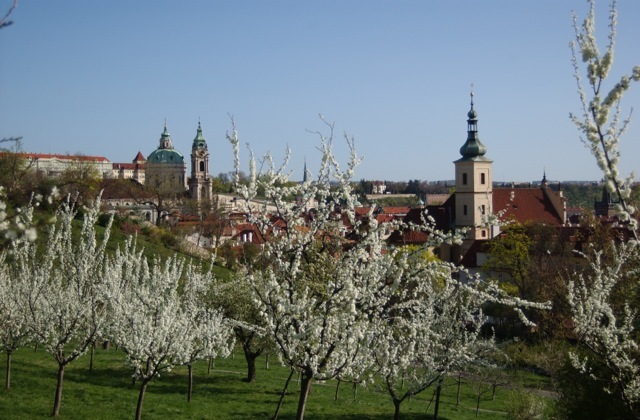 Explore Prague’s award-winning zoo, the banks of the beautiful Vltava and Berounka rivers, a network of protected woods and several botanical parks that altogether make Prague a wonderfully livable city. 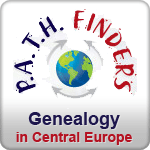 For those unfamiliar with the language, or anxious about stepping off the beaten path, we will happily design a unique route according to your particular interests. 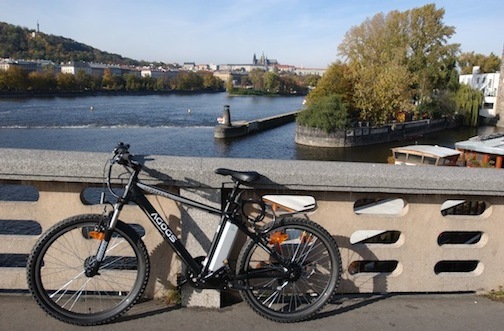 Even for those who may find the hilly terrain a bit daunting, we can arrange for eBikes, which unlike Segways are familiar and can take you further. Divoká Šárka - No place is better on a hot summer day. This narrow valley snakes below wooded rock outcropping, following a spring fed creek, that leads to a swimming pool surrounded by cut lawns (bring your swim wear). Troja - With a classic 18th-century chateau, vineyards, botanical gardens, and the Prague Zoo, perhaps there is more here than is possible to see in one day. The Botanical Gardens has a Japanese Garden and the Fata Morgana (house of butterflies). In the vineyards visit St. Claire's to enjoy some refreshment with a view. Besides this, the Prague Zoo is ranked among the best in the world, and this alone merits the better part of a day to see it all. 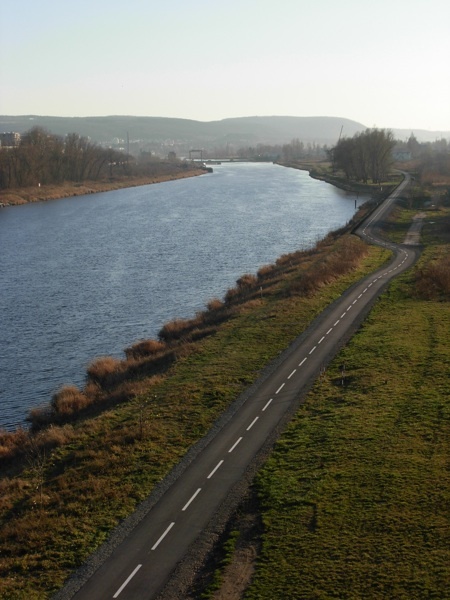 Levý Hradec - Follow the Vltava river north to one of the oldest slavic settlements in Bohemia. Pass through Údolí Únětického potoka, where you will find a great micro-brewery for refreshment. Letná / Riegerovy sady / Havlíčkovy sady/ Stromovka - The urban parks of Prague. Each is host to a variety of different attractions, including beer gardens, wine cellars, playgrounds, cafes, an amusement park and historical villas. 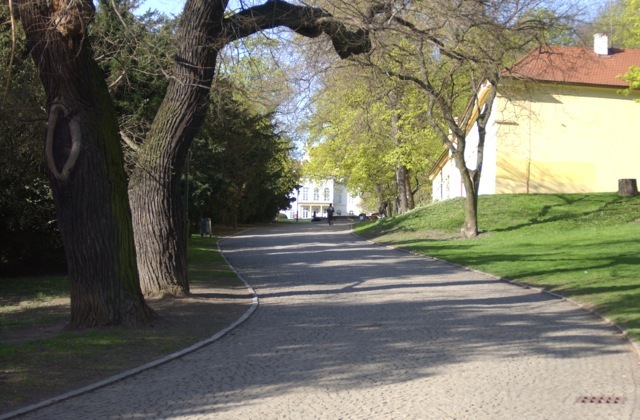 Petřín Hill - Another urban park, on a prominent hill overlooking Prague Castle and the Lesser Town. Here you will find the best views, but also the heaviest traffic. We recommend a bagged lunch. Beat the crowds by passing through the Hunger Wall, and visiting the Kinský gardens and the ethnographic exhibition at the Kinský summer palace. Vyšehrad - Site of an old citadel overlooking the Vltava river. This is now a comfortable retreat from the crowded streets. 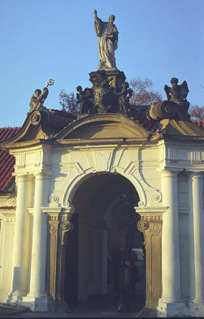 Home of the National cemetery where you can find the graves of both Antonín Dvořák and Bedřich Smetana, as well as many other Czech luminaries. Letohrádek Hvězda - Pass thru the cloister garden at Břevnov and return via the orchards at Ladronka. This is a window into the historic urban development of Prague as a Royal town. Most routes can be comfortably completed in 4 to 6 hours.